The Dead Beneath Your Feet — Travel and Adventure Await You! Centrally located in Denver, CO is the lovely Cheesman Park. It draws crowds from throughout the city with the pavilion hosting a variety of events from weddings to quincieaneras. 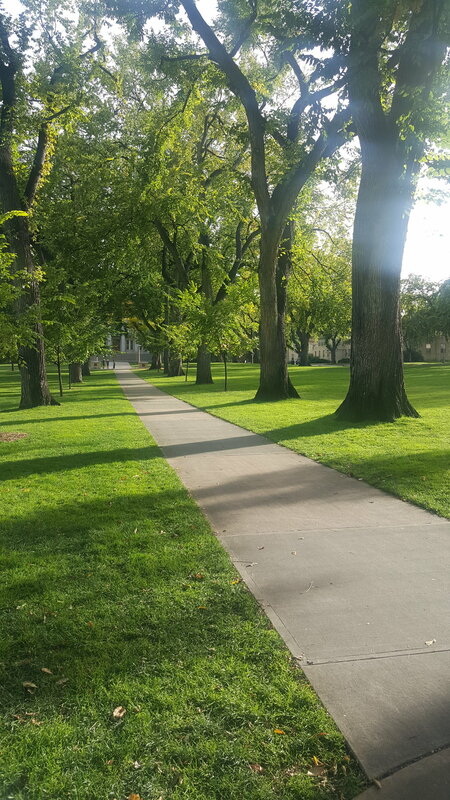 It is lovely for taking a walk, particularly in the Spring and Fall but draws people year round to it's immaculately manicured and expansive space. In the late evenings, it draws locals looking to have an encounter with a ghost, too! Cheesman Park in Denver, CO as the sun sets. You see, Cheesman Park wasn't always this lovely park you see now. It was Denver's first cemetery. But, a wealthy neighborhood grew up around the cemetery and it was not well maintained. Residents complained and the city decided to relocate the cemetery. The beautiful spaces at Cheesman Park. Bids were let and an award was made. At $1.90 per coffin moved, an unscrupulous undertaker felt he could make a bit of extra cash by using child sized coffins for the bodies which were exhumed and relocated. In the process, bodies were hacked and pieces and parts stuck where they might fit. 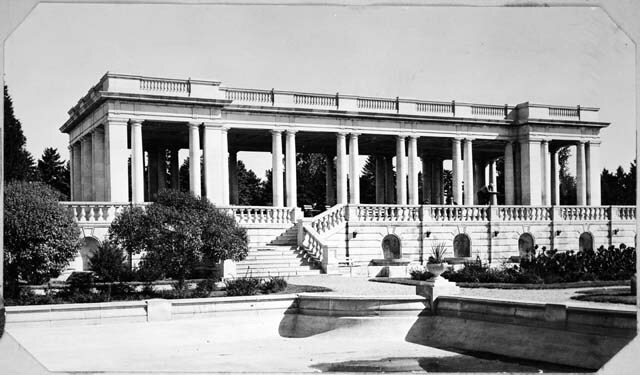 Cheesman Park courtesy of the Denver Library. It didn't take long for horrified residents to voice their concerns to the city who, immediately, put a halt to the exhumations. The cemetery then sat untouched for two years. A peek at Cheesman Park when it was a cemetery. Photo courtesy of Denver Library. Finally, the city discretely removed the headstones, and created the picture perfect park that we see today. It is estimated that around 2,000 bodies remain in their original cemetery locations... within Cheesman Park and the neighboring Denver Botanical Gardens. Destroyed remains of the cemetery. City workers maintaining the sprinklers or doing work on the park still, periodically, uncover the stray bone or body. Bodies have, also, been unearthed at the Botanic Gardens. 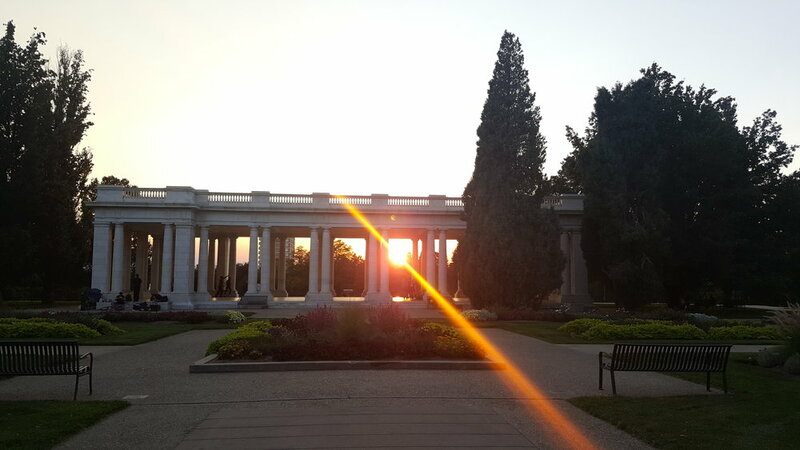 The Botanic Gardens offers ghost tours in October and it isn't difficult to find haunted Cheesman Park tours either. Many of the gorgeous, historic, Victorian residences which line the park experience paranormal activity, as well! This skeleton was found in 2012 by work crews. With over 2,000 bodies still in the park, it isn't surprising that one is uncovered every now and then. Come for an evening stroll in the park and as the light dims and the stars begin to shine, pull out your K2 and see what you find! A visit to the children's playground or the rose gardens won't send you astray but the ghosts linger here and you never know where you might find them!